Warm white, cold white – do you know why? For a lot of our spots, we indicate the temperature of the white light. However, that has nothing to do with the warmth of a spot, but with the „color“ of the white light. So why are we talking about temperatures? This is why we still speak of color temperatures today. Take this as a rule of thumb: The higher the color temperature is, the cooler the light appears. A warm white is at 3300 K, a cold white at approx. 5600 K. Sun light, by the way, is a „cold“ white at almost 6000 K.
So if you see a spot with the description „warm white“ or „cold white“ in future, you know exactly what it means. By the way: Warm white colors create a rather harmonious mood, cold ones create a more realistic daylight atmosphere. 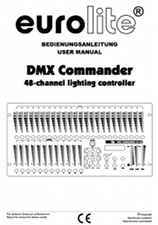 The DMX Commander 24/48 of Eurolite makes controlling light convenient. 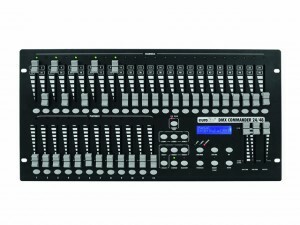 It allows you to control 48 channels via 24 faders and call 36 scenes directly via 12 faders and 3 pages. Over all, 48 programs can be memorized via 4 pages. 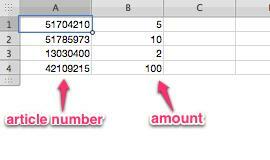 There are also RDM functions and the possibility to switch the wait-timer from 0 – 2 minutes to 0 – 10 minutes. But there’s more to it than that: The Commander 24/48 supports you whenever possible. It shows active scenes and chasers with its intelligent status LEDs. You can save scenes and chases on a USB stick via USB connection. Firmware updates can also be transmitted by USB. That’s how the Commander 24/48 makes it easy for you to work. It’s particularly suitable for smaller stages, which use LED effects as accents, and for applications with few channels: Like for example in theatres or clubs. Space miracle – As a mobile DJ or solo entertainer, you struggle with two things: Little space and little time for set up. It’s good that both these problems can be solved at one go: With the Eurolite light effects with mounting hole. The effects with mounting hole have the advantage, that they can be mounted on speaker stand or tripod. This way, speaker and light effect can be combined and need less space. It’s also possible to combine the KLS system and effects. The mounting is easy and quick – perfect for everybody who has little time and space. 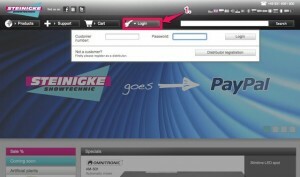 From now on, customers of Steinigke can pay via PayPal online. PayPal is the leading payment service worldwide. So payment becomes easier, faster and more secure – PayPal offers a lot of advantages. 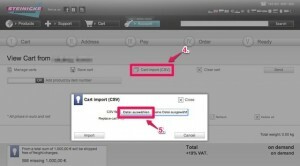 PayPal offers the possibility to pay your outstanding accounts immediately online. 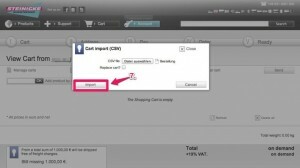 For customers, this has the advantage, that payment is done and won’t be forgotten. 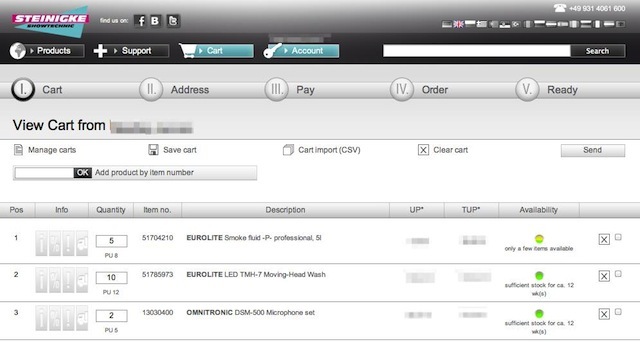 As soon as the invoice has been paid, the order is processed and shipped. 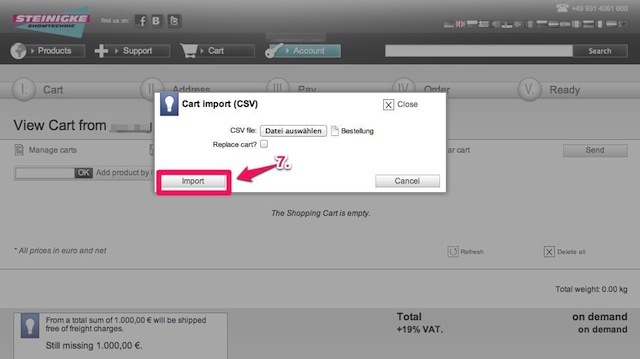 So the ordered products reach you more quickly – and can be used sooner. Payment with PayPal is secure for everybody involved. 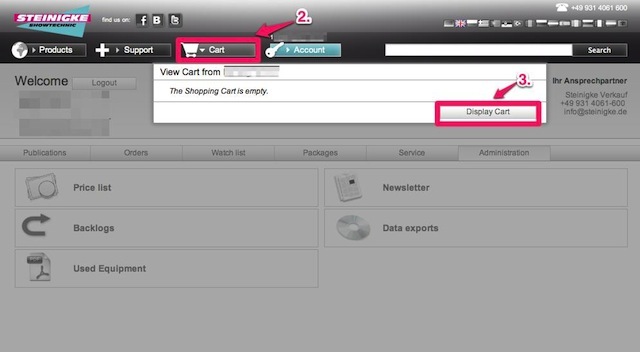 As a customer, you can decide, if you want to pay with credit card or via debit. 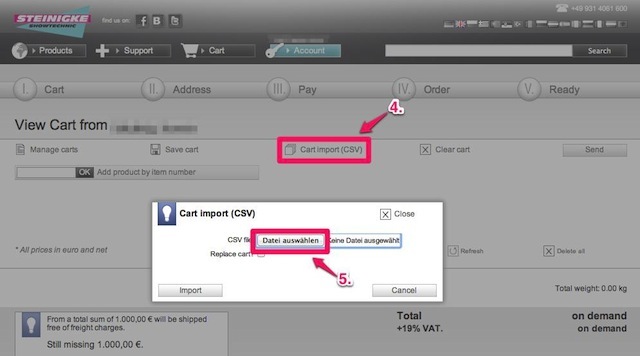 As the money is not transferred directly from buyer to seller, but to PayPal, there’s no risk. 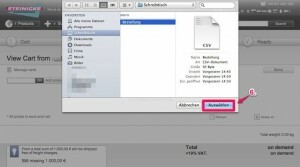 Paypal guarantees for a purchase protection. Payment with PayPal online is free for our customers from Germany and Austria. 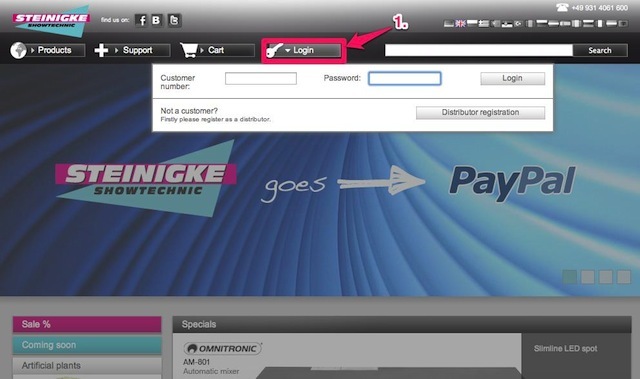 Until December 31st 2012, paying via PayPal is also free for customers from Belgium, Denmark, France, Italy, Luxembourg and the Netherlands.